BlackRadioIsBack.com Video: Culture VI Interviews Soul Singer & Writer Marsha Ambrosius (formerly of Floetry) | BlackRadioIsBack.com - Official Blog of the Syndicated FuseBox Radio Broadcast! 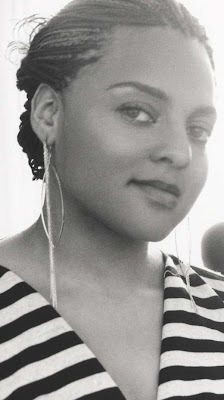 Shouts to our peoples over at Culture VI for hitting up the family here at BlackRadioIsBack.com and FuseBox Radio Broadcast with this interesting interview from Soul Music singer & writer Marsha Ambrosius. A lot of people know this sis as formerly of being a part of the duo Floetry back in the early 2000s, especially from their 1st album, Floetic . She's been doing her thing for a long time even beforehand as writer for many music artists (Michael Jackson's "Butterflies", "Go Ahead" for Alicia Keys and more), her guest appearances on tracks (including those for such artists as Busta Rhymes, Nas, Macy Gray and Fabolous with a whole lot of other people I can't list right now). This interview covers everything from the various people Marsha Ambrosius' has worked with in the creative process, her upcoming solo project (and not necessarily wanting to give a way songs because of working on this project) and a whole lot of other things. Check it out below along with some videos of the lady in action solo and with Floetry...hope you enjoy everything!